When it comes to working in plant environments – whether it’s manufacturing, warehousing or construction, the workforce is looking for two things – improving safety and increasing productivity. The demands of the consumer has provided increased pressure on these industries, which means efficiency in the workplace is more important than ever. So what can you use to improve both safety and productivity? Well, it starts with effective team communications, and effective team communication starts with digital two way radios. There’s many reasons why two way radios have remained top of mind for not only manufacturing, but other similar industries. 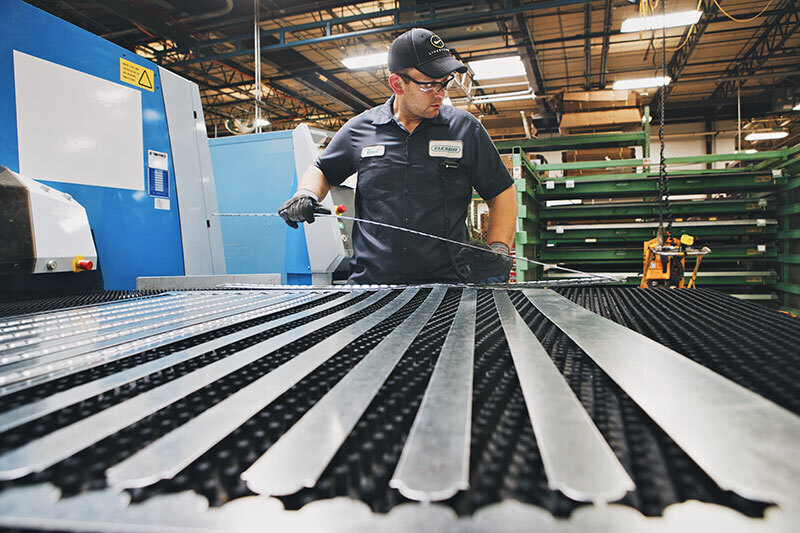 With the threat of downtime in the workplace resulting in stalled production lines, jeopardized customer relationships and potential missed deadlines and revenues, businesses are taking the necessary steps to generate success. Get the right information to the right employee – This real-time ability to communicate to the employee, where and when it’s necessary, is important. Traditional systems, such as overhead paging, are not able to effectively communicate, especially in increasingly noisy work environments. Instant communication – Anyone in the plant – from the corner office to the middle of the floor – can benefit from this reliable tool. At the push of a button, messages can be relayed to one or many, and your team communication excels – and does your productivity. Increased safety – As we mention above, safety is becoming an increasingly important factor, not just in plant environments, though 75% of manufacturers say they would like to connect their workers anywhere. Having a tool that can provide instant team communication in the event of an emergency, or provide feedback to employees to prevent injuries, is vital to that goal. Increased Team Collaboration – With team communication throughout your facility, employees are increasing productivity because of their ability to collaborate in real-time. This is a motivator in a team environment and, with clearer voice and greater coverage, problems can be resolved quickly. Digital two way radio technology is built to help you and your team communicate no matter where they are in the facility. We here at Nova Communications have seen the difference in makes for our customers who have relied on cell phone signal for communication – often with unreliable signals and frustrating results. 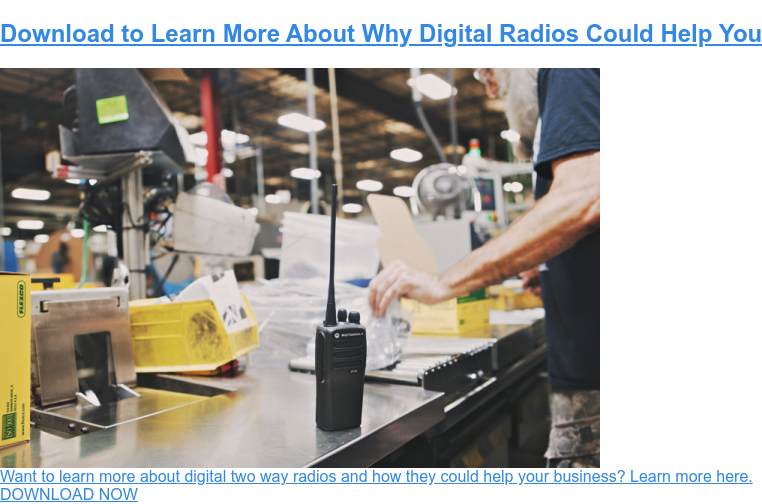 The latest from MotoTRBO digital radios offers a radio for all employees in the workplace – from office to plant floor, with safety features like Man Down and Lone Worker, along with text messaging – just to name a few. And while the two way radio in each area may be different, depending on the needs of the worker, team communication can easily be achieved. But, after implementing some or all of these tricks, what will it do for your workforce? We’ll start with the reduction in downtime that can often stem from using other devices that aren’t as effective with workplace team communication, such as cell phones. Digital two way radios can not only provide instant team communication among one or many, depending on your needs, but also have been proven to excel in noisy work environments. With them, you can save from 10 to 20 per cent in downtime with digital two way radios, according to almost 50 per cent of manufacturers who have already implemented the technology. When you consider this, along with the durability of the device, you know you can rely on your product to get the job done. Want to learn more about the benefits of team communications with two way radios in your organization? Our team of two way radio experts are ready and able to help you if and when you’re ready to learn more. Contact us today for more information.